Recently Ricoh presented at the IFA 2015 (and New York City at the same time) its new 360-Degreee Camera, the Theta S. To be honest, we’re talking about a bold move here, since we are all familiar more or less with the failure that followed the 3D cameras trend, making consumers a bit more distrustful against similar trends and techs. 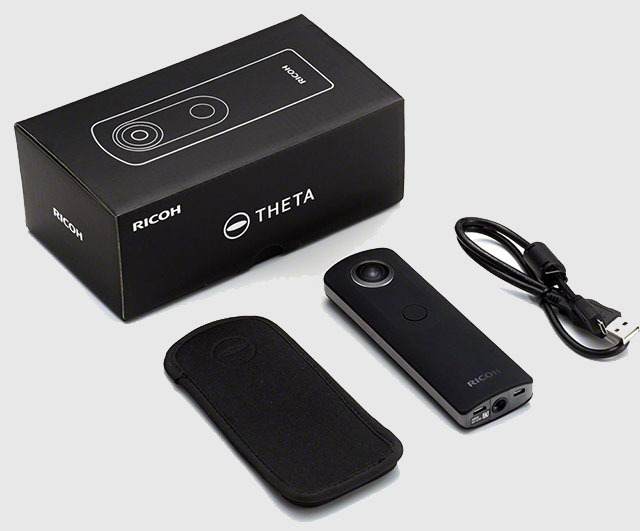 However, Ricoh took the step and 2 years after the launch of the Theta spherical camera, the company released the Theta S, a brand new model capable of shooting high resolution spherical photos with two 1/2.3-inch 12 MP sensors that combine their powers to let the user take 14.4 MP spherical still images or capture Full HD videos at 30 fps. There are many improvements with the Theta S, one of them being the stick-like shape with individual sensors behind F/2 lenses, which allows a low-light condition shooting mode. On each until with the two lenses, there are also different exposure levels. The pictures that you take have a resolution of 5376×2688 and can be shared either on the official Theta website or whatever site you prefer (like your favorite social network). The device also lets you upload your pictures to Google Maps which is particularly interesting because you can upload your 360-degree images directly to the location where they were taken and let other users watch them on their computers. Under the hood, there are 8 GB of internal memory – though only 4 GB are available for video storage. But despite those specs, the real improvement here that will give Ricoh the lead, is on the compatibility. Users can stream their videos, through the Theta’s HDMI type-D or micro USB connection while those outputs include 1080p at 30fps, 720p at 30fps, 720p at 15fps and 480p at 30fps. For more control over the device, users have plenty of options such as the shutter priority and the ISO priority exposure modes while the settings can be remotely adjusted using only a mobile device and a Wi-Fi connection. And on top of all the above, the device’s lithium-ion battery allows the user to take up to 260 shots so you will never be left without your Theta S throughout the day. 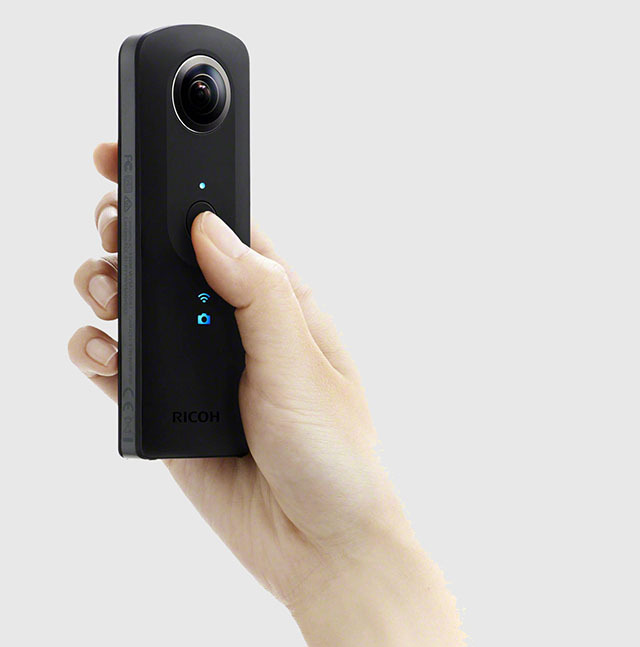 Price has been announced to be $347 while the regions where Ricoh’s Theta S will first circulate will be North America, Europe and the Asia-Pacific beginning late October.